-some wiring work needs to be done to gain some clearance and fix the operation of the L/F headlight. -passenger side cut. This was my first attempt and I dont like how rough it came out. Did it differently on the drivers side. Some progress on the ride hoping to get the brakes done this weekend. I originally ordered project Mu brake pads but, yet again, they havent even started them after 3 months. Cancelled that order and ordered carbontech custom pads. Three days later a set of front and rear pads shipped out should be here any day. Flares wont be here before race day so Ill have to run it the way it is for now but it should be pretty crazy looking when I get done. Gonna hook up the adjustable proportioning valve this weekend and run the brake hoses. Hopefully I can get the car aligned and ready to go racing on 19th. 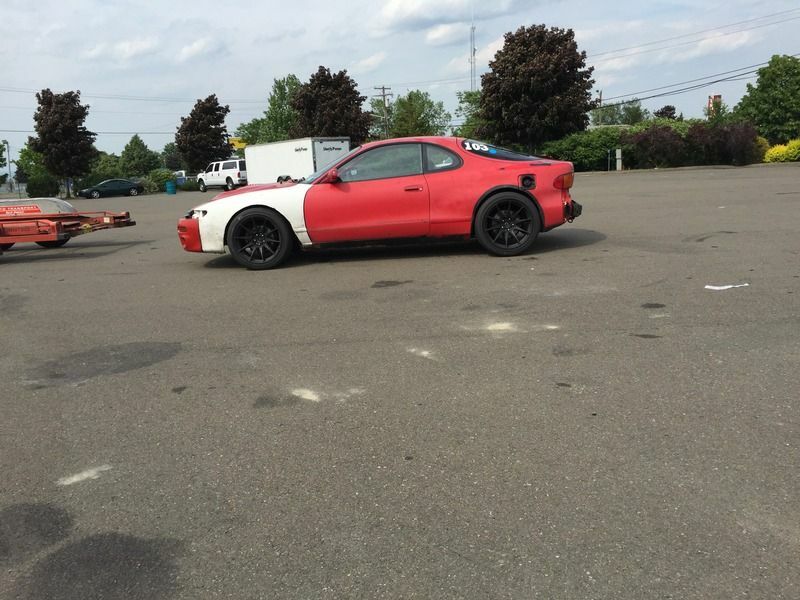 -Cut quarter panels and tubbed rear wheels. Passenger side needs alittle work to be 100 percent but that will be done this week. -Almost done cutting front non widebody fenders to clear the wheels. 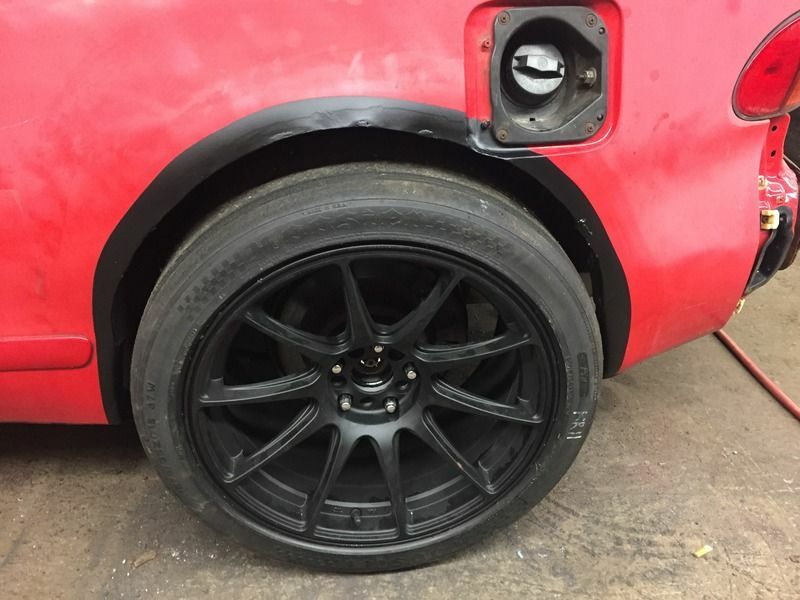 -Ordered fender flare kit. dont want to spoil the suprise. -Carbontech pads should be here any day now. -92 is getting close to having the rhd firewall ready to go in. -tacoma is going to body shop to finish the little things to make it perfect. That is being sold and hoping to finish the spyder and the V6 TT build this summer using the cash. 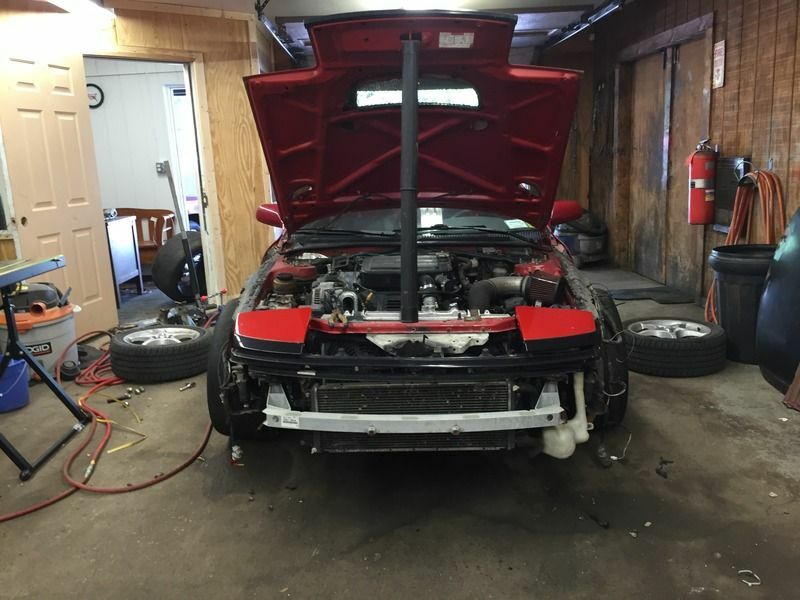 -may part out the v6 mk2 mr2 to finish the builds. Once the mk3 spyder is done I doubt Ill be wanting to spend any money on the mk2 in the future. -in progress. I messed up this side trying to flare before I realized the quarter panel had to be cut in order to fit the tires properly. Those tires are serious business. I don't know if it was intentional or not but good call starting on the fender that doesn't have the gas door area to worry about. Its been a crazy month haven't had a laptop for most of it and been so busy I haven't had a chance to update. 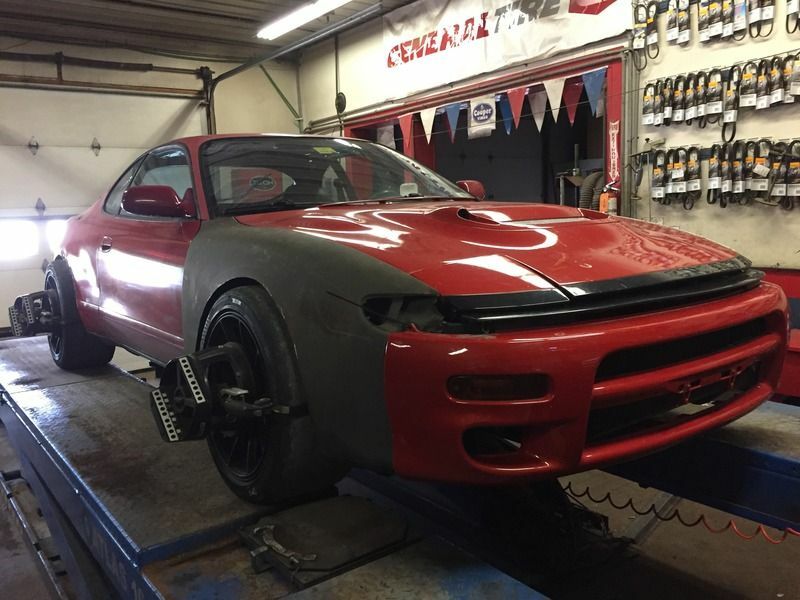 Waiting on a vehicle to sell in order to finish this and my mk3 mr2 so I wont be so extended financially. 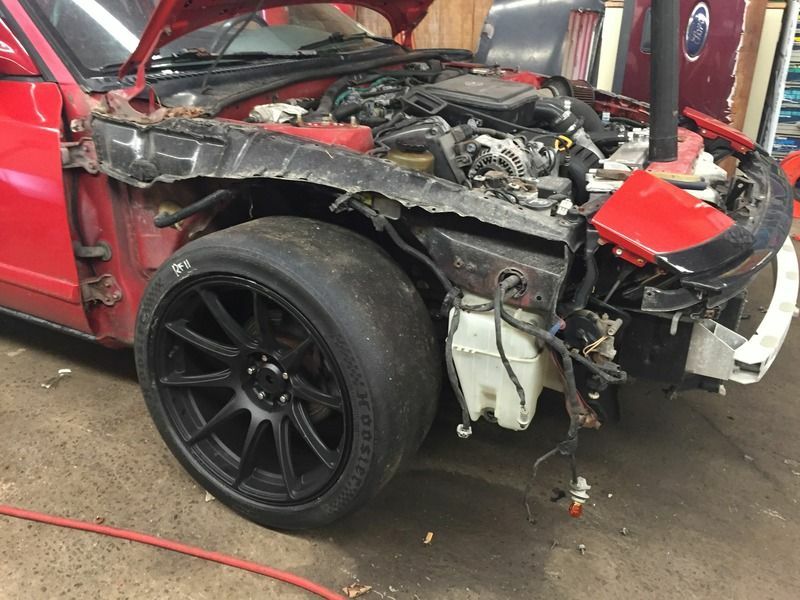 I had some money to pour into this but ended up buying a car off a friend merely because I didn't have time to fix it when they needed it fixed lol. I have a Toyota problem and I need to do something about that. 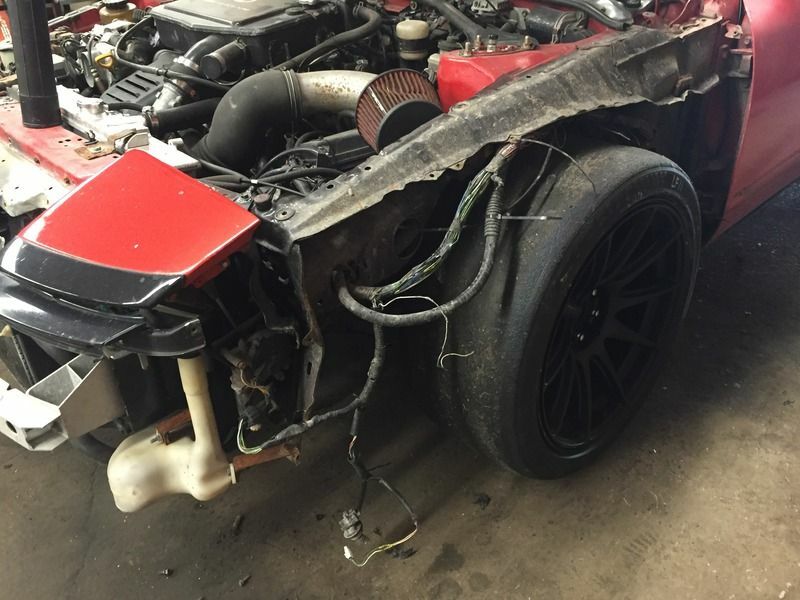 -Pulled v6 out of mr2 for the clutch & flywheel to use for this build ATM. Parting that car out to finish another car has really hurt me. Ive raced that car for what seems like forever. sad to see it go to pieces but it has to be done..
-Picked up some rocket bunny flares & fenders so I can go extend the wheel base farther. Have to find time to do that. -Thinking of going wider tires and rims to fill out the rocket bunny kit. Its either that or do the suspension redesign I have been toying with for a while. Car isn't very driveable without power steering even at low speed and I have the manual steering quick rack conversion to install yet. 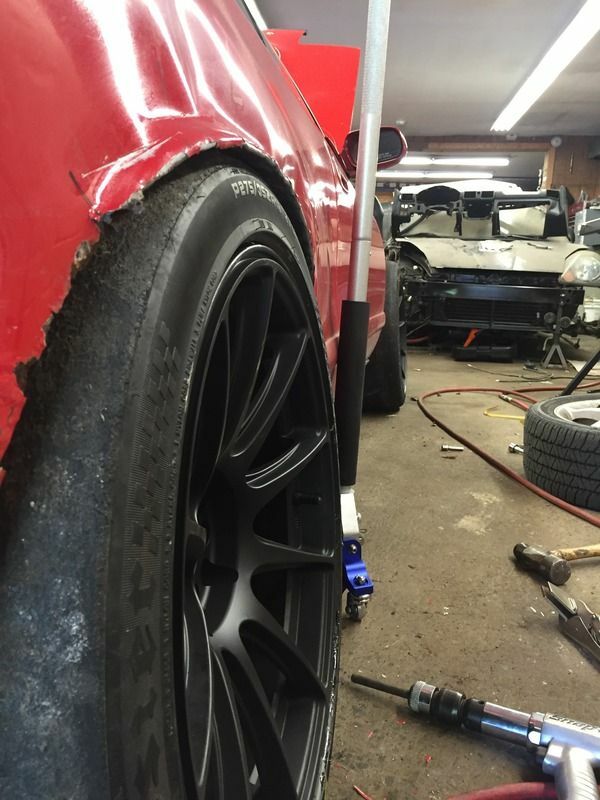 -Broke axle in front I think from excessive camber and hoosier slick combination. nut broke clean off with the threads took me a couple laps to figure out there was something seriously wrong with the car it locked up at 120 under breaking and seemed to enter corners differently, but had no issues anywhere else on the track it was odd. -Need to up my spring rate. Im thinking with the sway bar delete, the slicks, and the upcoming wheel base changes I will need to probably double the rates. 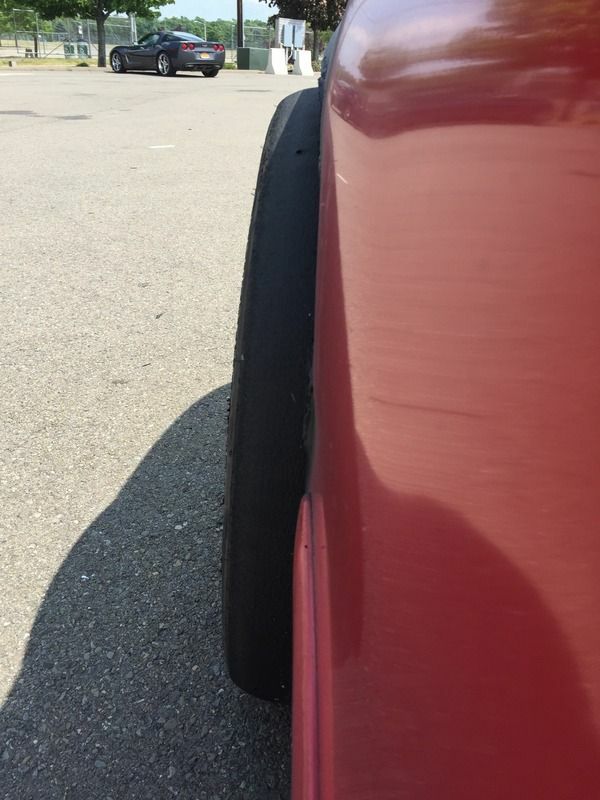 I was getting 3 inches of suspension compression in the rear causing tire to quarter panel contact. The front was almost perfect got some minor scraping under hard cornering but the changes Im making up there are going to require stiffer suspension then what I have. There's a lot more grip in my setup I just need to find it. 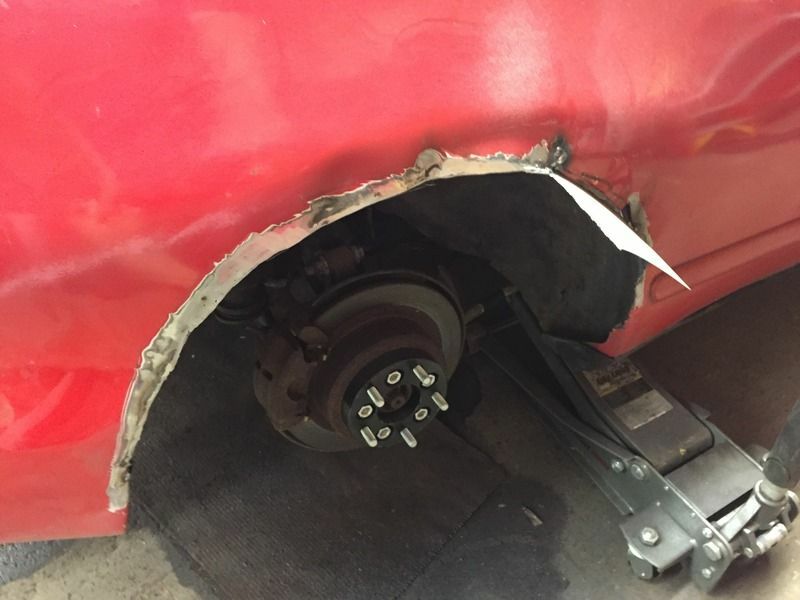 -Brake hydraulics need work. After being unable to get the adjustable proportioning valve to stop leaking and unable to get what I needed to fix it in time I had to run everything to the master cylinder without a proportioning valve. with the camber setup I had the front liked to lock before they should and the rear rotors were blue. Need to work out what Im doing in this area so I can get some confidence under braking and be able to use those carbontech brake pads to their fullest. -ended by day didn't have any spare axles with me unfortunately. -at least I didn't do this: 130 mph shifted from top of 3rd into 2nd gear. Quick update: got clutch and flywheel from mk2 mr2 i decided to part, made some progress on the Frankenstein transmission build, finally received a diff im hoping I can use as a front LSD on the car, AND double wishbone front/rear suspension setup has been purchased. Stay tuned for more detailed updates. Quick update: been busy with parting cars and such to do more then collect parts. I have someone buying my 90 st185 with the motor from this car installed so I will be making some progress on this soon. Gota do some gear swapping and diff comparisons to make before I am ready to bolt the engine and trans together. I put in for some time off work so hopefully I can get everything done with a 4 day weekend. Between forced overtime at work, getting vehicles ready for sale & shipping parts I have been pretty busy. Do you have any st205 parts for sale? Putting the finishing touches on another st185 build them this is coming back in the garage. Had to finish my3 Tacoma projects, my new tundra tow rig, my Prius and this other st185 build before I could get back on this. Transmissions almost done, waiting on a couple parts coming next week to get it back together. Project took a little bit different turn while I was catching up on my other projects. add water to air intercoolers and a change to ethanol fuel complicated things as well as parts that seem to have been misplaced. 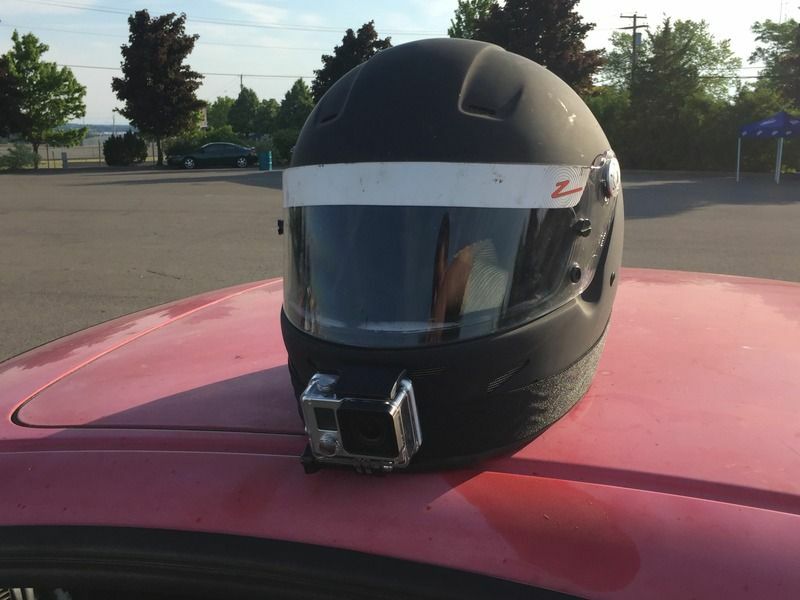 This will be done and running by June for my Watkins glen event. Still have to finish my trailer, fix my bike that caught on fire, and setup my 92 st185 on the rotisserie that's should be on its way. Update: 1990 ST185 about to move out of the garage under its own power pretty excited about that. I am very interested in going ethanol on this build. I have 5 5 months to finish the car so time and money may dictate the path I go down. As soon as my tacoma that was suppose to sell this week is running again and the battery is mounted in the 1990 ST185 I can get back onto build. I am going to run a version of my Frankenstein transmission that requires less work to finish to see if it is going to work as anticipated. Provided the axles im using will work with the lsd I have in my possession that may be happening too. Got a line on a company to make me a destroker crank as soon as I can get them drawings or a sample I can get that process started. That crank will go into the second version motor Im building above and beyond this one. 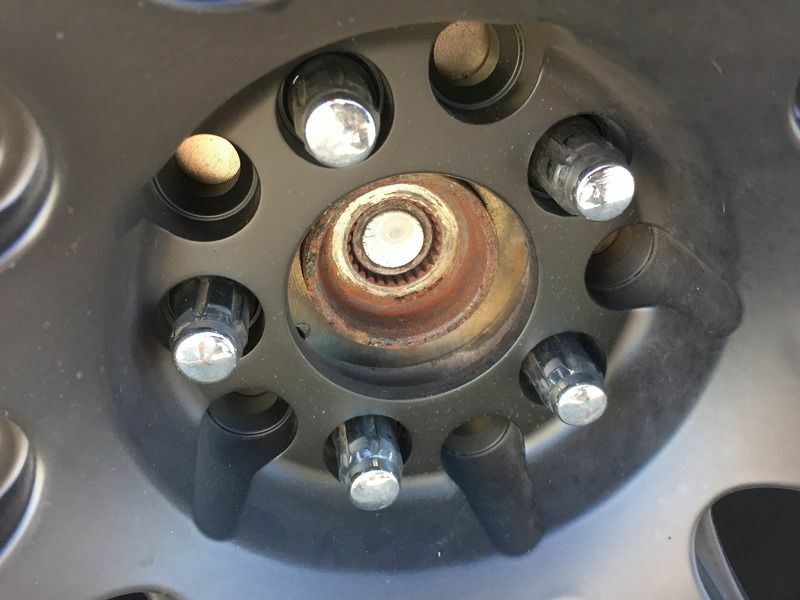 I may throw the forged crank in this current build with the built TRD heads if I can swing forged connecting rods and pistons since I can run the cams and springs on the destroker build. Sadly the RC hood and RC bumper will be coming off this car for more appropriate race items. They will go on my 1992 when I get that ready to rock probably late fall at this point. 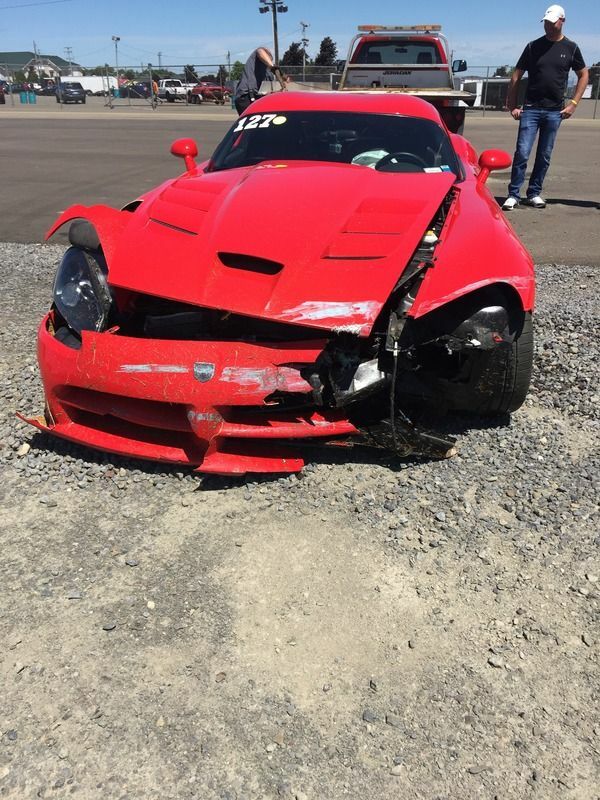 I already sold the spare RC bumper and threw my brand new freshly painted stock red rc hood up on ebay to see if there is any interest. I expect to be in the 2600-2700 lb weight range with the current build so that only leaves 100 lbs to loose. 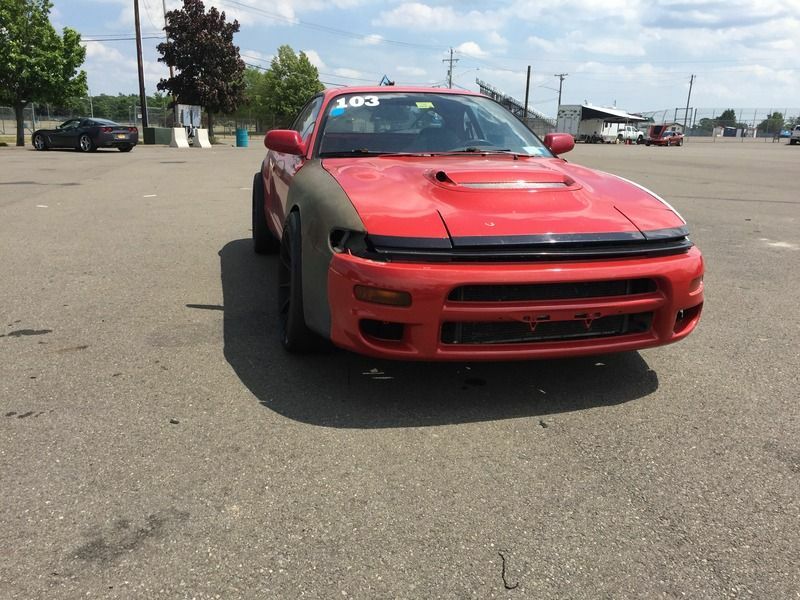 Im sure the new front aero/bumper/hood setup wont help but the goal is 2500 lbs. Shaved over 20 lbs out of my hatch alone so there are savings to be had. I need to sleep. I may have a better weekend update as things progress here. I havent updated this in a while but I have been very busy lately. Got started on the quick steer steering rack and column conversion. There isnt any pictures yet Im still in mock up stage but at least its something. I also picked up a hardtop gts so I can eliminate the sunroof. Body shop will probably get that job as much as Im going to hate that bill. I have 10 vehicles apart and 3 of them are already sold so it will be a while before I get back to this. I am finishing up my 2gr mrs so I have something to race this summer then I will be back on this build for as long as I can be. I got maybe 20 hours of work to get this one mechanically reassembled but its hard to find the time. Between the various jobs I work and starting to build a new garage theres barely time for sleep let alone my toys. Tried to take a month off from work to get things done but my boss wont let me. Ill update when I can. 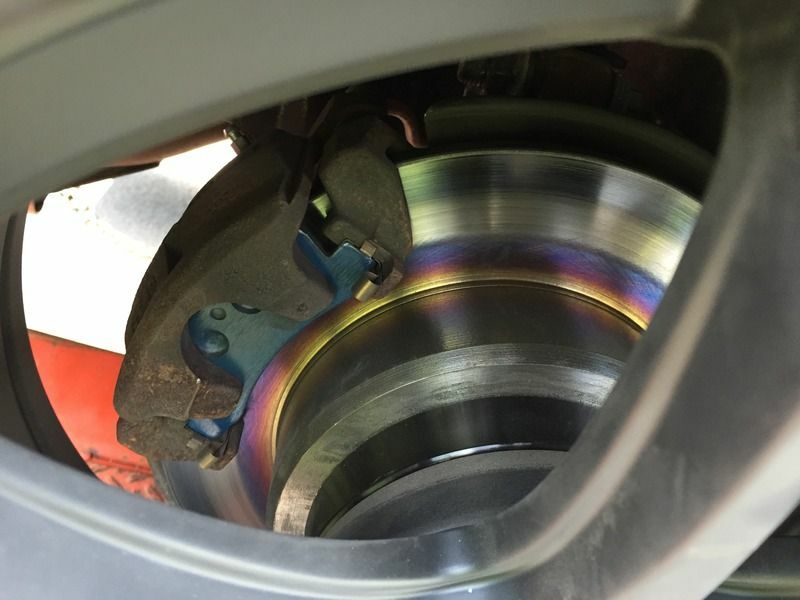 Are you just welding in a steering quickener or using another method? Rack and column from a different car. I am hoping it will work as expected. I miss my old 93 =) Somedays I wish I held onto it.